Fundraiser by Carlos A. Espinosa : Get Dos Mares t-shirts! Please help Dos Mares to continue spreading educational information about the marine protected areas, marine science and marine conservation in Central America through social networks. 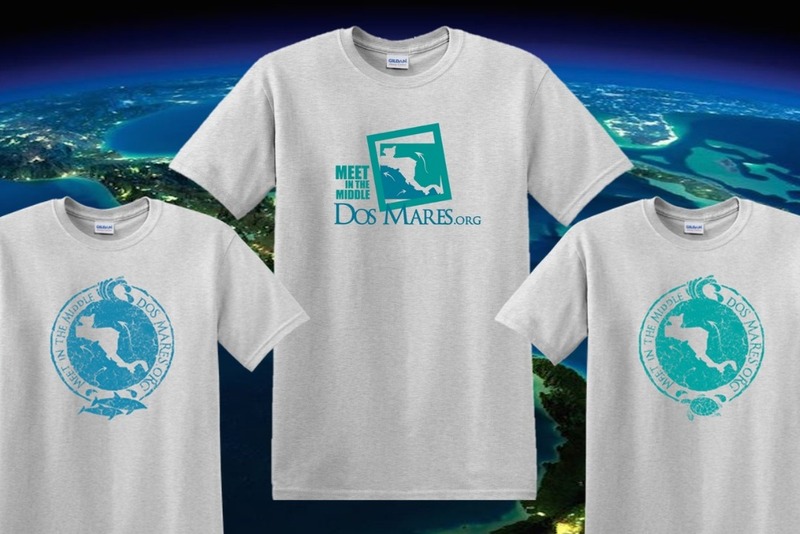 If you donate $10 to Dos Mares, you will receive a unique Dos Mares t-shirt with the official Dos Mares logo printed in the front and the phrase "Embajadores del Mar" (Sea Ambassadors) printed in the back which is the name of a Facebook group recently formed by Dos Mares focused in the knowledge and conservation of the marine protected areas of Central America. Your donation is used to support the expenses of Dos Mares social networks in Facebook and Twitter. Please be sure to send us your name and postal address and prefered size (S, M, L) to info@dosmares.org when you donate. This campaign is only applicable in United States. Every dollar counts! Thank you very much for supporting Dos Mares!